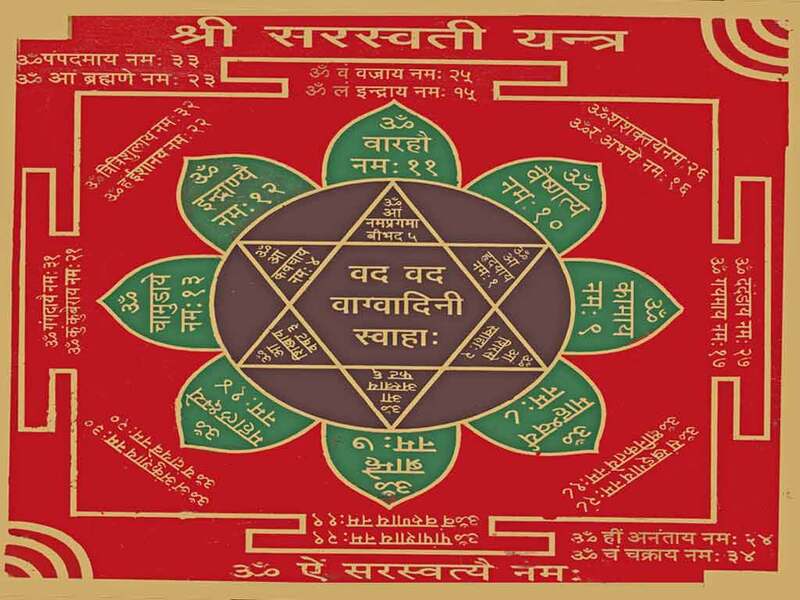 Description ↴ The Mahamrityunjay Mantra is a very powerful Mantra for inviting good health, good fortune and harmony into one's home. The sage, 'Rishi Markanda' was able to defy death with the help of this Mantra, while chanting this is believed to have a positive effect on the entire surroundings in which it is chanted. 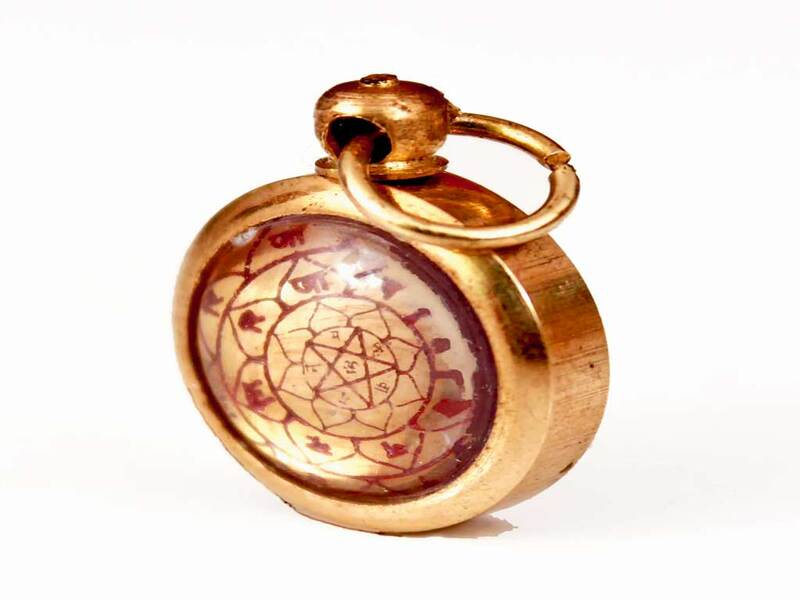 The 'Mahamrityunjay Yantra' talisman is a graphical representation of the Mantra and has exactly the same effects.The grid of this Yantra is encapsulated in this lucky charm locket. Wearing this pendant around your neck will bring you good fortune, good health, protection, peace and harmony. 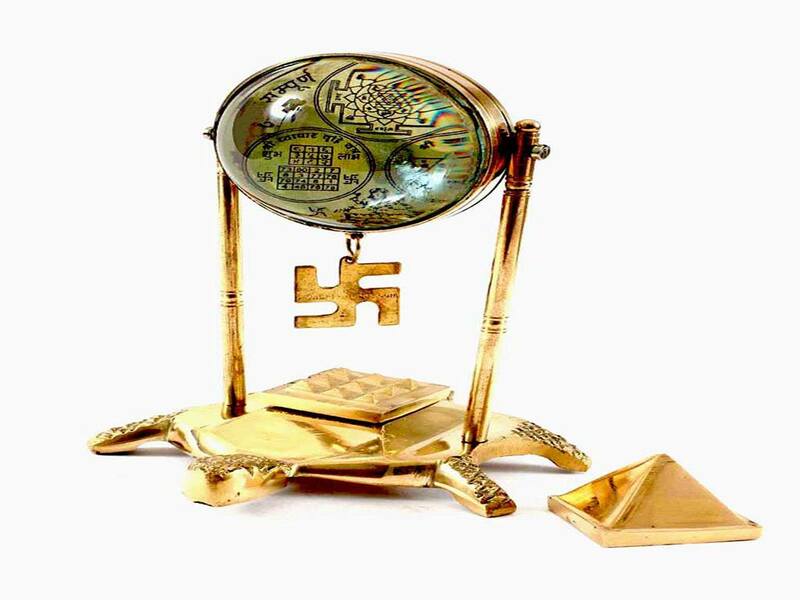 PowerFortunes.com Yantra talismans are prepared and energised on astrologically auspicious dates and bring multiple positive effects. PowerFortunes.com lockets are made of a solid, one-piece, 8-metal alloy body with smooth, bevelled edges. The back of the locket is a jointless flat surface. The talisman grid is inscribed on a special 8-metal alloy plate and is placed in the centre of the locket's hollowed out body. 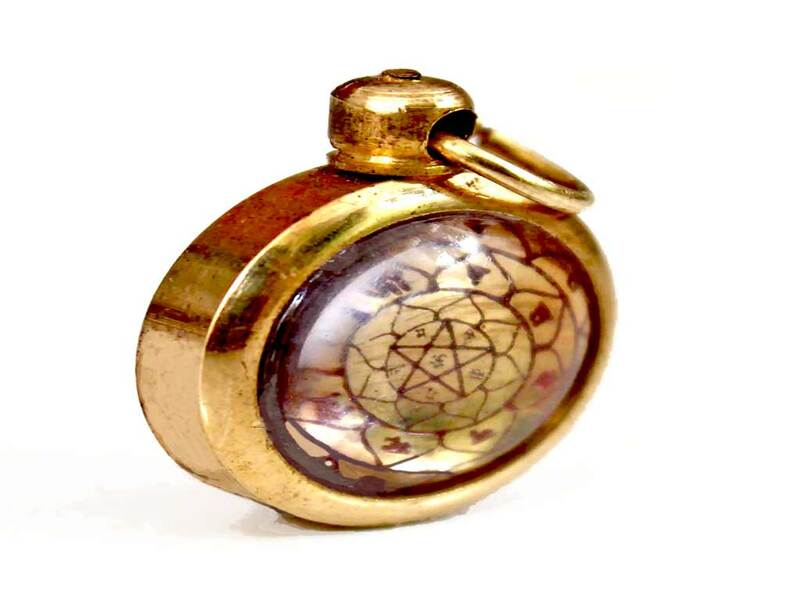 A glass lens seals the talisman grid plate in the locket body. This protects the talisman from the elements and magnifies the talisman grid. This is very light, has no noticeable weight and is comfortable to wear. This locket is very strong and will not bend, flex or distort. Our locket talismans are ready to wear, a brass ring is provided at the top, so that they may be attached to standard chain, necklace or thread and be worn either inside or outside your clothes. All PowerFortunes.com lockets will be sent with a free 80cm(approx.) long, black, nylon thread. The locket can be worn by threading this thread through the locket's ring, cutting to a suitable length and tying the open ends. 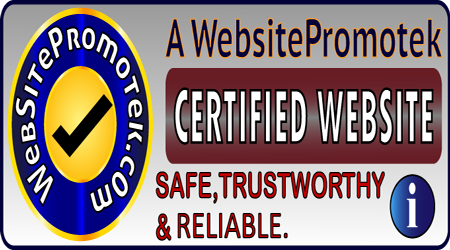 Using this thread is optional and for your convenience, any suitable, existing chain or thread may also be used. 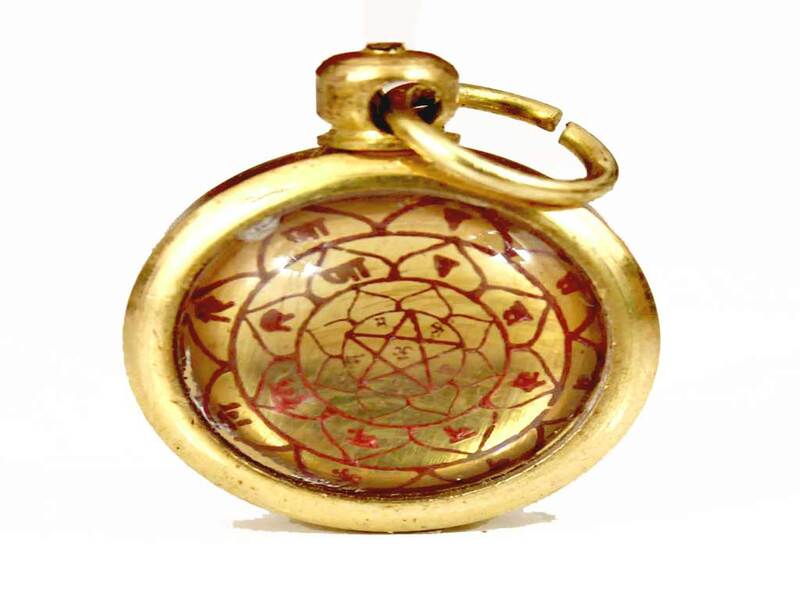 The locket may be polished with brass polish or natural oils, like jasmine, coconut or olive oils. This locket is of a unisex design, anyone may wear this locket to benefit from it's power. Refer to the FAQs for more details.